Vels Entrance Examination is expected to be held in the month of May so as to offer the undergraduate as well as the postgraduate courses to the deserving students. 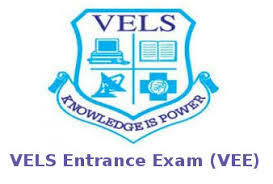 VEE Entrance Exam is conducted by the Vels University to offer admission in Engineering, Management, Pharmacy, Law, and many other courses. Qualifying Exam: Applicant must pass B.E/B.Tech degree from a recognized university. Qualifying Exam: Pass the 10+2 or equivalent from any recognized board. Qualifying Exam: Applicant must clear the Bachelor Degree under 10+2+3 from a recognized university. Minimum marks: Applicant have to secure at least 50% marks in the above examination. Qualifying Exam: Applicants must hold the Bachelor Degree with Mathematics at Degree level or at Intermediate level.